Bicycling gave freedom of movement and transportation. Bicycles became a symbol of emancipation for women. 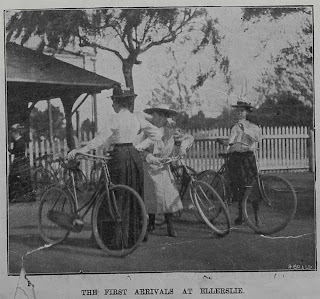 "The dual-purpose nature of the bicycle (i.e., as a mode of transport and as a recreational tool) enabled women to become more physically and geographically mobile, as well as to pursue new directions in leisure." People of all ages could safely and cheaply ride bicycles. Bikes were and still are popular for racing, recreation, business and commuting purposes. Sadly, this popularity was not enough for a cycle-way to be included in the building of Auckland Harbour Bridge. 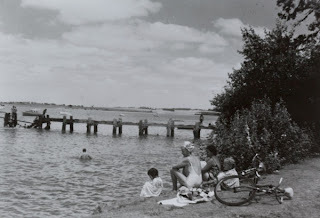 By 1959 the rise of the automobile as the primary form of transport was underway, and in building the bridge “the Government of the day took fright at the cost and grudgingly settled on an "austerity" bridge of four lanes and no footpaths” (NZ Herald, May 30, 2009). The effects on Auckland’s transportation system are felt to this day… but that is another story. 'Ride : the story of cycling in New Zealand' compiled by The Kennett Brothers, editor: Bronwen Wall.(2004). 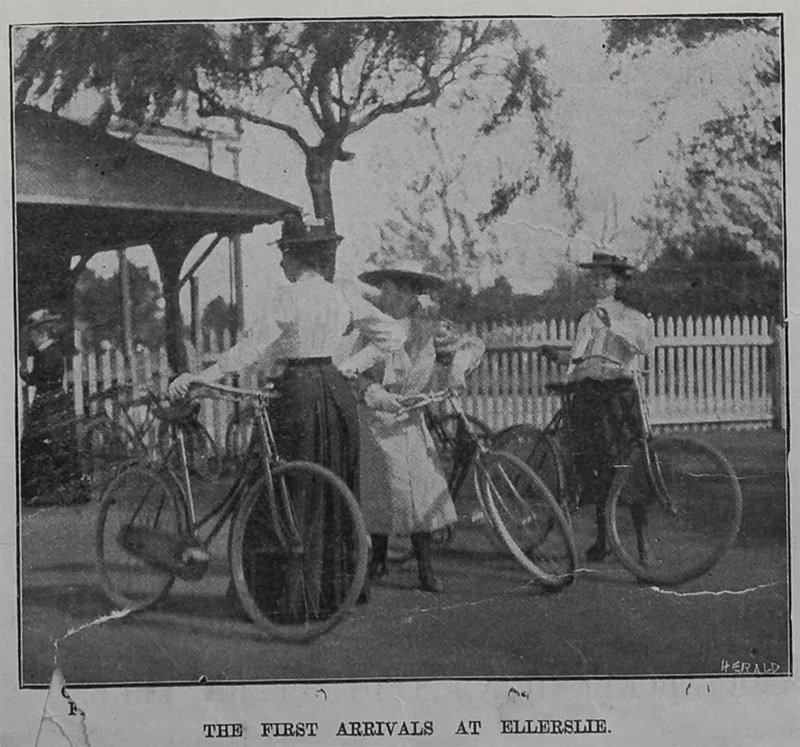 'A social history of women and cycling in late-nineteenth century New Zealand' by Claire Simpson, Lincoln University (1998). The Daily Southern Cross (1839-1945) through Papers Past (National Library of New Zealand). You can also try searching Papers Past using keywords such as 'bicycling', 'bicycle', 'cycling' or 'cycle' in the search box. You can further Refine your search (click on this button at the top of your results list) using a variety of filters such as date, content article type (e.g. articles, ads), newspaper title(s), date period. For your viewing pleasure, we have also put together a wonderful collection of heritage images on Historypin. 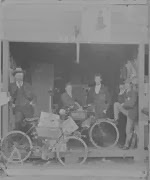 Check out the bikes and cycle clothing of yesteryear - Auckland looks pretty different too! To access the 'Bicycling Auckland' collection, go to the Auckland Libraries, Heritage and Research channel/profile page on the Historypin website, scroll down the page and click on the Collections tab and choose the 'Bicycling Auckland' collection.